I many times get facinated by automation to help us get rid of mundane activities and boosting efficiences. I have a lot of hunch to try out various things. On top of that, my friends provoke me asking me for solutions. For instance if I dont heat milk in my resturant on time, it gets spolit, can I monitor and heat it remotely, I want to track movement of tools inside my office, I want to know if the customer has already visited my shop and so on. Due to digital transformation almost everyone has become tech savvy, my laundary guy, my milk guy, my news paper guy, my vegetable guy and every friend. One thing that motivates me to get into action is my experience of just talking and not doing. In few weeks I see someone else implementing it and cashing out of it. Then I feel that I just missed a great opportunity. However, now digital technology makes things very fast and easy to try. Artificial intelligence now does not require us to get into low level stuff like mastering fourier series before we do image recognition, R programming language and OpenCV help us implement solutions in a jiffy. Identifying free slot of car parking, face recognition and all such must-have applications are very quick to try out. Python programming language has all the programming paradigms available in all the great languages developed till today, has many open source libraries available for integration. Most of the times I change my programming utilties and daemons from Java to Python because of the latter being rich in libaries. We ending up writing stunning short programs when we opt Python. 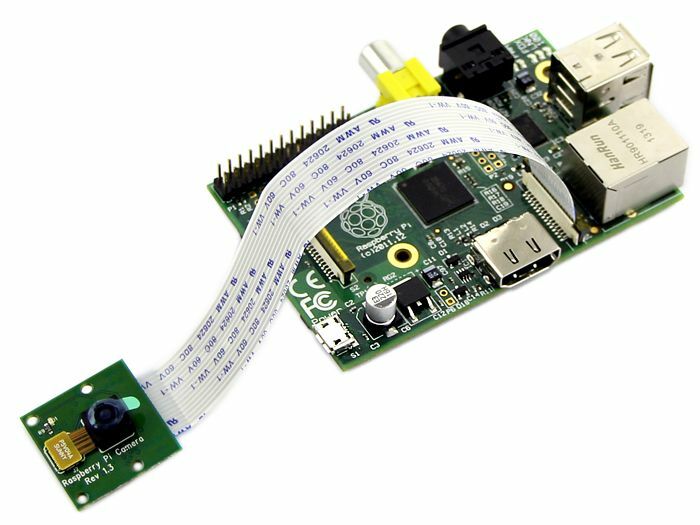 My focus in this blog is not to tell the setup of raspberry pi but to get into the programming aspect of it. So let's get started ! General idea is to keep scanning the frames present in the video stream that is generated by camera attached to raspberry pi. Let's have a look at each code segment one by one ! In this code segment, all the necessary packages are imported. In this code segment constructing the argument parser and parsing the arguments is done. This code segment is not the core part of the program and can be eliminated. This code segment enables the user to give file path of the output file where entries are to be logged. The camera attached to raspberry is a hardware resource and hardware resource just doesn’t start working in quantum time, which means some time is to be allocated for it to boot up. In this code segment, the video stream from the camera is initialized by allowing some time for the camera sensor to boot up. In this code segment, the file in which the decoded information from QR codes or barcodes is to be logged is initialized. For the purpose of writing the blog we have used a text file but one can use other types of the file say the information is much more sensitive. In this code segment, the frames from the video stream are continuously processed so that the codes present in the video can be decoded accordingly. Getting frame from video stream: In this part, a frame from the continuous video stream is captured and resized. Resizing is done in order to show the frame to the user and also to reduce the unnecessary processing of the full image. Code searching: QR codes and barcodes are searched in the frame using pyzbar library. Displaying decoded message around found codes: This part can also be skipped but to get sure that whether the scanner is working fine or not it is recommended one. Since there can be more than one code present in the frame, iteration is done over each found code and a rectangle along with the message that it represents is projected around the respective codes. Logging the findings: writing the decoded codes to the to the file. Setting the key: setting up the key to break the loop and stop the execution of the program. Opened streams, files, and windows are closed in this segment of the code. All the code segments have their respective try-catch blocks to handle errors during program execution. you will see a window displaying the feed to the camera and when you put a QR code in front of he camera, the string that is encoded in the QR code will be displayed on the screen. To directly download the python script, follow the link given below.